A unique dancing experience with performances by fellow ballroom dancers/students interspersed between lots of open dancing for everyone. EVERYONE gets to dance! 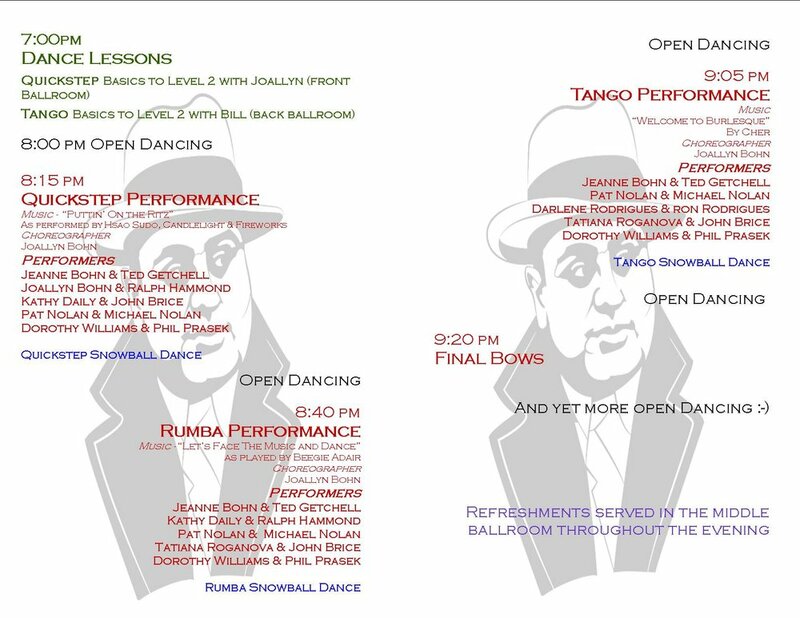 This will be our 7th annual Gangster Gala, with dance performances in Quickstep, Rumba and Tango (American style). The performers put in 8 weeks of rehearsal classes prior to the Gala, to perfect their dancing and learn the choreography. Always great fun! Mark your calendars! 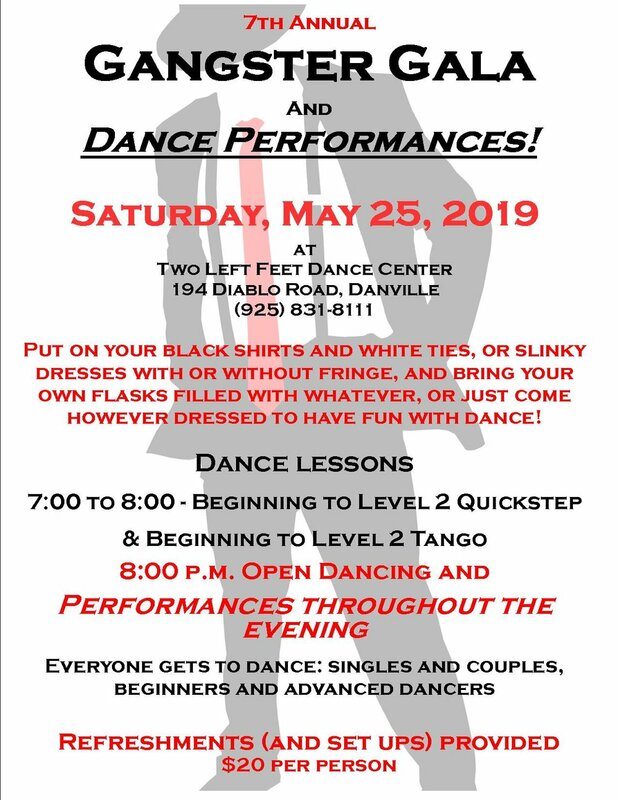 You don't want to miss this really fun and unique dance experience offered only once-a-year! Check out the photos from 2018 Gangster Gala under the "Gallery" tab. So much fun! Below is the program for the evening. So much fun!! !